If you’ve ever been to Texas, you know that quite a few people enjoy letting huge clouds of black smoke spew out of their trucks. 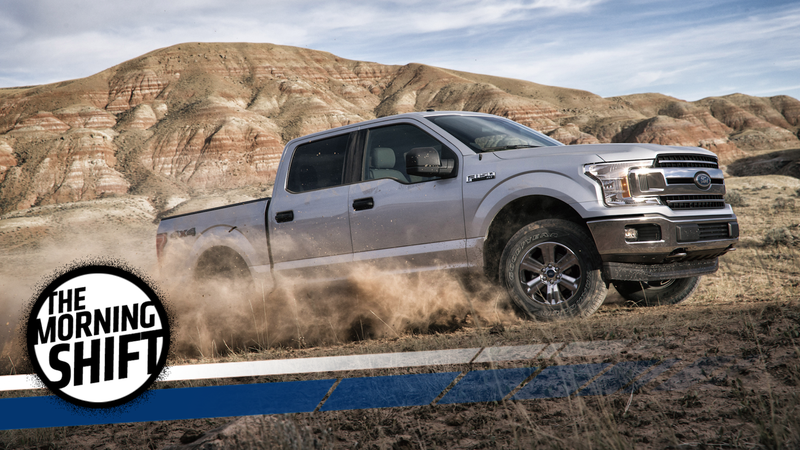 In fact, Bloomberg reports that on the list of priorities for Ford F-150 owners, fuel economy ranks No. 28—even below interior roominess. Instead, the marketing will go something like this: The battery in the hybrid F-150 not only feeds the electric motor, it’s a mobile generator that can keep the beer cool at a tailgate party, charge your miter saw and run the coffee maker on a camping trip. The hybrid F-150 was greenlighted in 2014, three years after the Obama administration set a target for automakers to achieve an average of 54.5 miles per gallon in their line eight years from now. The expectation that President Donald Trump will ease regulations hasn’t reduced the industry’s interest in electrification. A hybrid truck will keep your beer cold, F-150 enthusiasts. Drink up. More than two years after its huge Dieselgate scandal, Volkswagen’s expecting to hit record sales for the year. This “car industry” thing works a lot differently than, say, cheating on a test, huh! Registrations at the world’s largest automotive group including the Audi and Porsche nameplates jumped 8.2 percent in October to 940,800 cars, extending the 10-month gain to 3.2 percent or 8.75 million. In 2016, the first full year after VW’s emissions test-cheating scandal, group sales increased 3.8 percent to a record 10.3 million cars, helped by a double-digit increase in China and gains in Europe. Reuters reports that Chinese company Geely, which owns Volvo, tried to buy a 5-percent stake in Daimler AG at a discounted price. Daimler reportedly didn’t bite, according to unnamed sources cited by Reuters, because Mercedes’ parent company is reluctant to chop away at its existing shareholdings. Carmakers in China have embarked on a flurry of dealmaking, as they scramble to boost production of electric and plug-in hybrid vehicles ahead of tough new quotas to be imposed by Beijing, which wants to reduce urban smog and lower the country’s reliance on oil. People with knowledge of Geely’s thinking said the company was keen to access Daimler’s electric car battery technology and wanted to establish an electric car joint venture in Wuhan, the capital of Hubei province. Geely ... is still hopeful it can secure a deal in some form over the coming weeks, they added. The future is all about having machines—including cars!—think for themselves, think for us, and think as one big group. Reuters reports that Avis, the rental-car company, has one part of that down: Its rental cars in Kansas City, Missouri, will all be connected to each other, the internet and the company itself. The Parsippany, New Jersey-based company’s so-called Mobility Lab will connect all 5,000 cars in its Kansas City fleet and share live data with the city from those vehicles so it can sharpen computerized traffic flow models, and collaborate on ways to improve tourists’ experiences when they rent through Avis. A “connected car” is linked wirelessly to the internet, other vehicles and, in Avis’ case, to a centralized network, which the company said will enable it to automate many processes that are currently performed manually. Reuters reports that Avis wants its global rental fleet to be connected by 2020, and that the company had nearly 400,000 cars in the U.S. as of last year. Automotive News has a good look into the pitfalls of automated car technology, which can get really thrown off with (and without) a human getting into the mix. Autonomous technology is far from perfect, no matter how few years out car companies want you to believe it is. At a media event here Tuesday, Lexus demonstrated its latest advanced driver-assist system, allowing journalists to drive cars with pedestrian dummies in their paths to see how the technology reacts. A rear backup feature stops the car a foot away from a child-size dummy when a distracted driver backs up. A pre-collision system with steer assist brakes and steers the car to a safe stop if a driver doesn’t react in time to a person standing in the road. The key to these systems is either the driver picks up on visual and audio warnings before the car takes over to avoid the crash or the driver doesn’t react at all, and the car can capably stop. However, there were a number of instances (video below included) when a journalist tried to ignore the warnings, but instinct took over, and human input on the steering wheel at the last second disengaged the system — and it was curtains for the test dummy. The first (and only, as of last year, according the National Geographic) incident of a human being hit by a meteorite occurred on Nov. 30, 1954. According to the Smithsonian, Ann Hodges, 34, was hit while asleep on the couch in Alabama. The story is fascinating and sad, and some of it can be read here and here. Neutral: How Do You Think A Hybrid F-150 Will Go Over In The U.S.? It’s hard to imagine F-150 buyers being able to bite on a hybrid offering of the truck, but perhaps they will. If not, will it be a big flop or create a new segment of truck buyers?